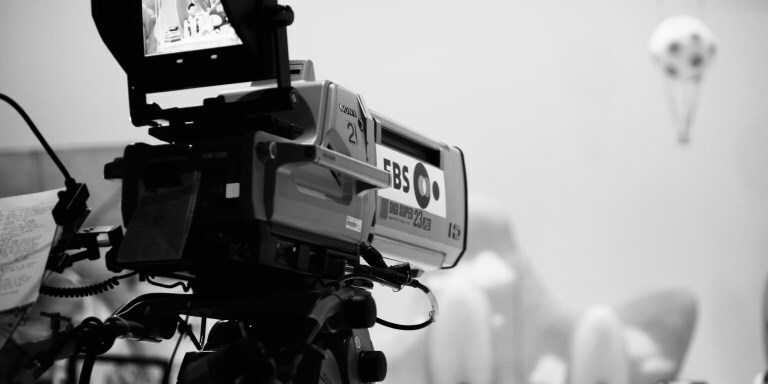 The Educational Broadcasting System (EBS) in the Republic of Korea has evolved into a largely self-funded operation with numerous TV channels, websites, and learning applications for mobile devices. Photo credit: EBS. The Korea Educational Broadcasting System has helped reduce inequality and costs in education in the Republic of Korea over the past 40 years. The Korea Educational Broadcasting System (EBS) was begun in 1974 as a radio station supported by the Government of the Republic of Korea with the goal of reaching out to remote areas with few teachers. Over 4 decades later it is an autonomous and mostly self-funded operation with numerous TV channels, websites, and learning applications for mobile devices. Data shows that the EBS has had a positive effect on reducing regional education gaps and lowering private education spending. A number of developing countries have entered into sharing agreements with the company to emulate its model. At a workshop in Seoul organized by the Asian Development Bank in November 2016, EBS was one of the organizations that shared their experiences in applying information and communications technology to improve access to education. What was the reason for starting this service back in 1980? At the time, the Government of the Republic of Korea was concerned about gaps in the quality and standards of education between rural and urban areas, as well as high costs. Providing public service educational television aimed to make learning more accessible in areas with few teachers. It also seeks to help families in these areas reduce their out-of-pocket spending on private education. The high cost of sending children to school imposes economic hardship on families and widened regional and educational gaps. How has EBS evolved since then? In a little over 3 decades EBS has shifted from a fully state-run public TV service to a largely autonomous business with eight TV channels—including three satellite—along with three websites and 10 mobile learning applications. It sells content overseas, including a popular cartoon character, which goes to over 120 countries, and it takes part in international co-productions with many countries. It has also entered into model-sharing agreements with several countries including Viet Nam, which has now started its own educational TV service based on the EBS framework. What evidence is there that it has helped reduce educational quality gaps and costs? Data gathered domestically clearly shows a substantial reduction in regional education quality differences as EBS has expanded. The educational equality effect is estimated at over $820 billion a year. Other data, which includes surveys of parents, shows that EBS has helped reduce out-of-pocket spending on private education. EBS also dominates viewer surveys (children and parents) on the best educational TV channel versus rival program providers. How does it fit in with the mainstream national education system/curriculum? EBS has two streams of content—material that mirrors the school curriculum system and material that is of a broader, more general educational appeal, such as documentaries. For example there is a channel that is designed to specifically support students preparing for the College Scholastic Aptitude Test (CSAT). Discussions are held with the Ministry of Education beforehand and the content is developed to directly match what is coming up in the CSAT. Tuition costs saved through EBAS CSAT lectures have been estimated at around $1 billion. At the middle school level (7th to 9th grade) too, program content for mathematics is closely aligned to the national math curriculum. EBS also has a specialist channel for learning English and a satellite channel targeted at Koreans living in the United States. Complimenting and linking to the television channels are websites and mobile apps with a large amount of educational content and interactive tools to aid learning. How can a developing economy with limited resources set up such a costly and extensive service? Initially there is a need for government financing to set the service up; but as EBS has shown down the years it is possible to shift to a largely self-generating revenue model. EBS now generates about 76% of its budget requirements on its own, with public funding providing the rest. The key for any service is to produce content that is both educational and learning-focused, as well as having entertainment appeal. You need high-quality staff and high production standards so that the material produced is marketable and can have appeal beyond the domestic audience. In the case of EBS, content sold abroad along with international co-productions, and model-sharing agreements have significantly boosted the business. Korea Educational Broadcasting System (EBS). Yi Seoung Hoon holds a bachelor's and a master's degree in anthropology from Seoul National University. He joined EBS in 1994 as a producer. Yi produced various television programs, including "Cinema Heaven" in 1995. He is now the director of the Policy Planning Division.